For those wondering how Paddle Georgia comes together each year, we’re providing this blog with news of how the trip’s coming along. Hopefully, it will generate interest in the trip and, perhaps, help us make contacts with individuals along our paddle route that can assist us in pulling off another great Paddle Georgia. On Oct. 12, Doc Stephens and I scouted the 13-mile section of the river from Ellijay to Ridgeway Road Boat Ramp on Carters Lake. This was the first time for both of us on this section of river and we’re hooked. It was a beautiful paddle, full of shoals and rapids. We paddled with the gauge at 1 foot, just enough water to get through in some places. In late June next year, there should be at least an additional half foot of water. Lets hope the drought breaks this winter. 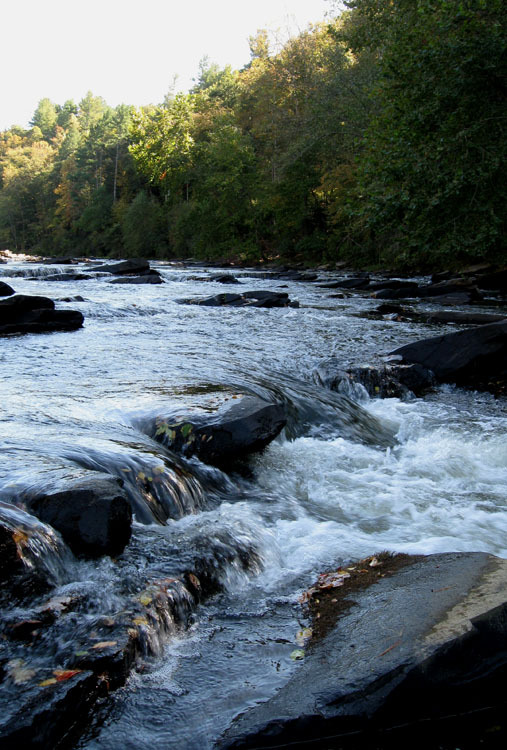 shoals, reaching a crescendo at the mouth of Mountain Town Creek and just downstream where Class II rapids appear. The rapids end aburptly in the backwaters of Carters Lake. This is a place where you feel a river die, and you understand the inspiration for James Dickey’s novel Deliverance–a tale of survival on a wild river soon to be tamed by a dam project. The playful rapids at Mountain Town Creek make you long to see the remainder of the river that now lies beneath the water of Carters Lake. 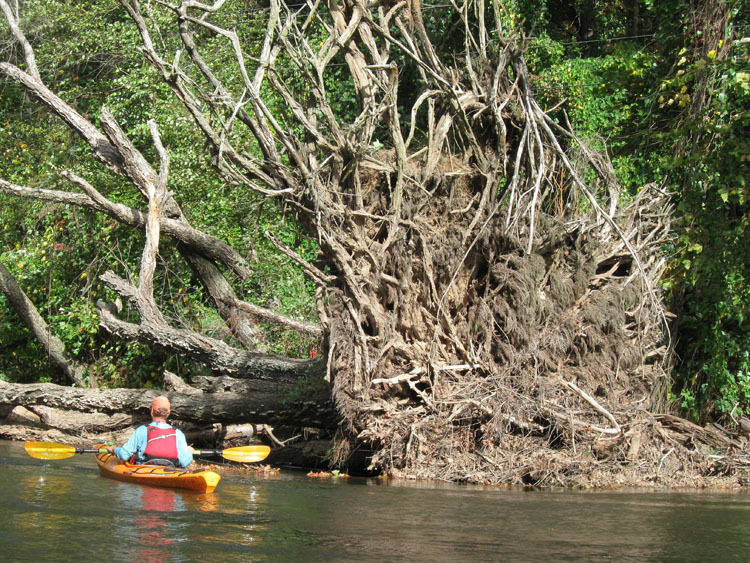 You especially long to see them in the midst of the three-mile lake paddle that completes the journey! Much of the course runs through the Coosawattee River Resort, a 7,000 acre community that borders both sides of the river for some 12 miles. Riverfront homes crowd the banks throughout the course of the paddle. 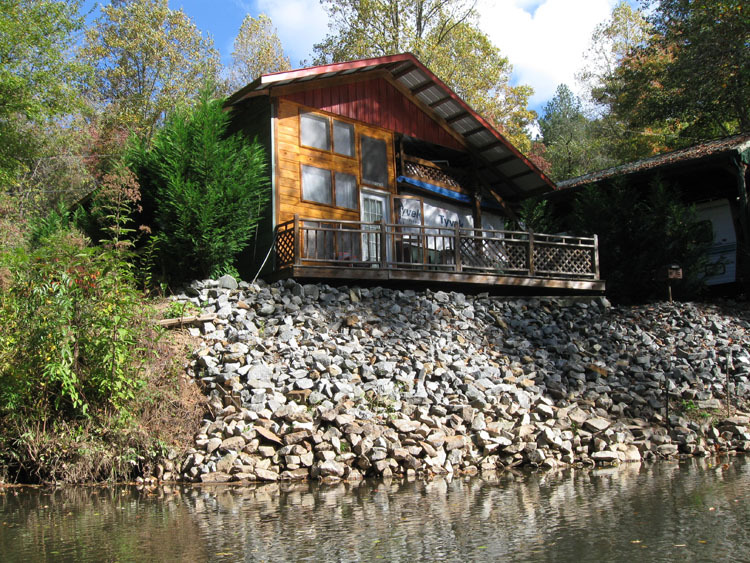 Within this stretch, there’s also signs of the original riverfront homeowners–the Cherokee indians. 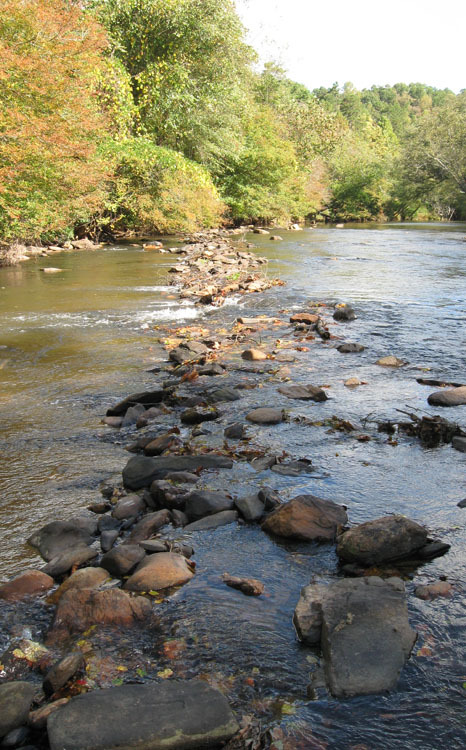 A Native American fish weir bisects the river just a few miles downstream from Ellijay. You’ll find in the poems some of the images depicted in the novel and in the movie. Sighted along our paddle route…osprey, heron, soft-shelled turtle, map turtle and water snake…and lots and lots of homes. The Coosawattee's rapids spill out into the backwaters of Carters Lake. Welcome to the Paddle Georgia BlogSpot. 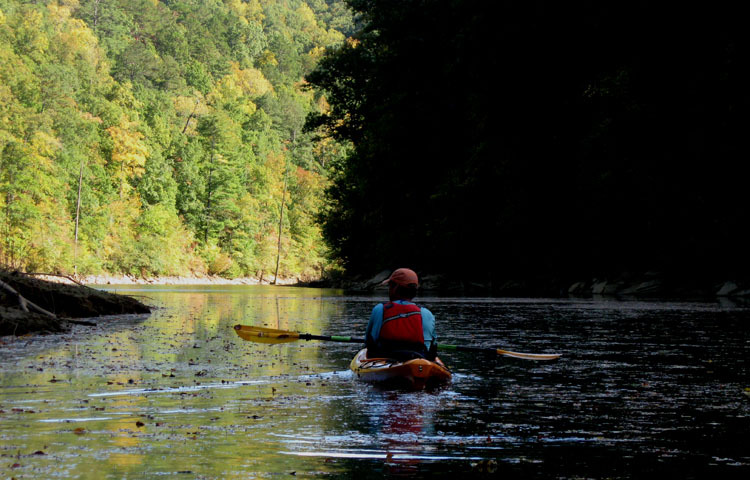 To learn more about Paddle Georgia, visit http://www.garivers.org/paddle_georgia/pghome.html.